The Lynn Crescent Passive House is the most northerly Certified Passivhaus in the United Kingdom, and the smallest inhabited Passivhaus in the Northern Hemisphere. 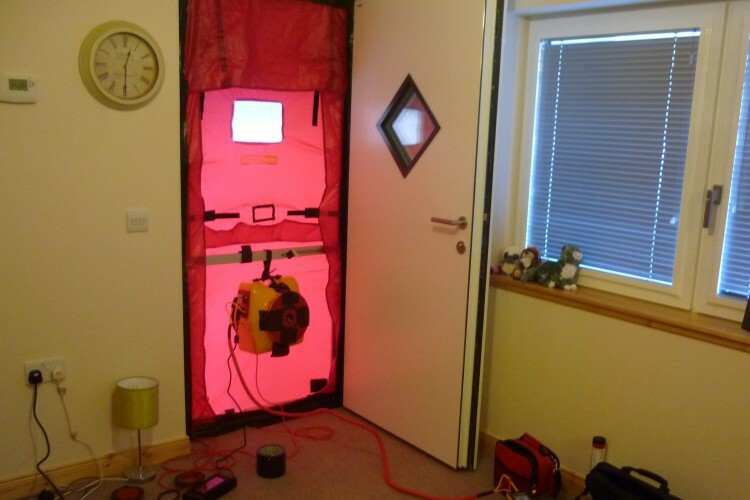 Airtightness of 0.3 ach was achieved, with a maximum heating load of 10W per sq.m. The design focused on transforming a disused former boiler plant and biomass store to residential use for Orkney Housing Association. The existing single storey building was utilitarian in appearance, located within a residential area. The existing boiler house comprised masonry walls with concrete tiled pitched roof, while the biomass store was of thick reinforced concrete. 1. Preserve as much of the existing fabric as possible. 2. Transform the building to have a domestic appearance. 3. Achieve a low energy solution to minimise the resident’s fuel bills. The rendered outer skin and tiled roof of the existing building provided the necessary robust defence against the Orkney Weather. 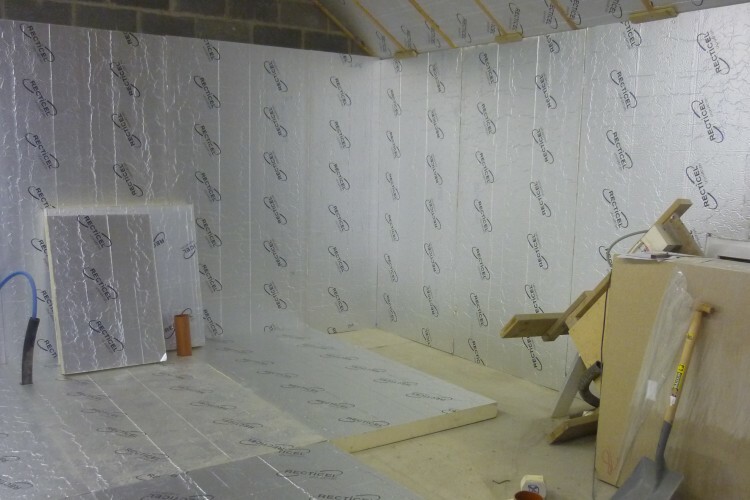 With Retrofit Passivhaus projects the starting point is often to apply the airtight layer and insulation externally. 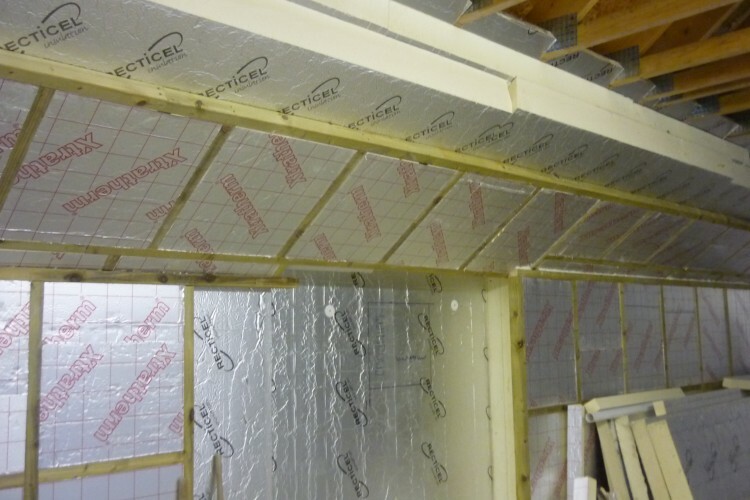 This project took the alternative approach of insulating and achieving the airtight layer internally, in order to preserve the existing protective shell. The existing service doorway was replaced by a wide lounge window. Other openings were adjusted or formed to provide natural daylighting. A very small heat pump was incorporated to supplement the solar thermal water heating via a wet radiator system. 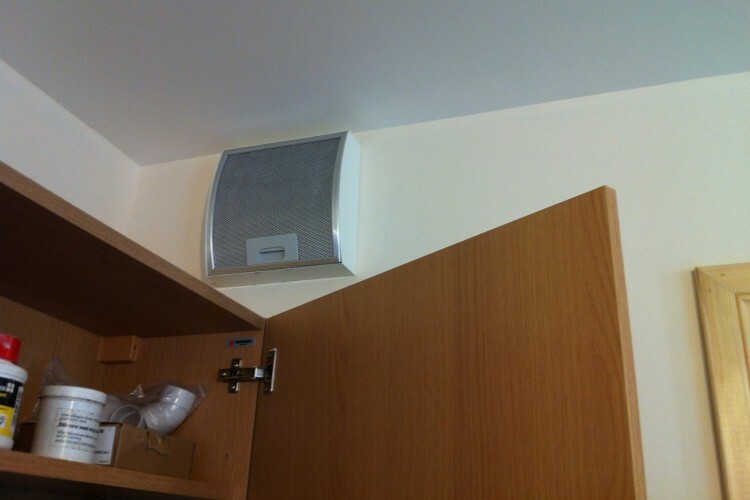 An MVHR system provides silenced continuous ventilation with heat recovery, and a CO2 monitor was included in the bedroom to provide an automatic boost when necessary in order to ensure carbon dioxide levels remain below recommended limits. The design intent targeted preservation of the exterior weather skin while carrying out enhancements to achieve Passivhaus standard, with the aim of effecting a transformation from a utilitarian boilerhouse to an attractive, warm and comfortable one bedroomed house. 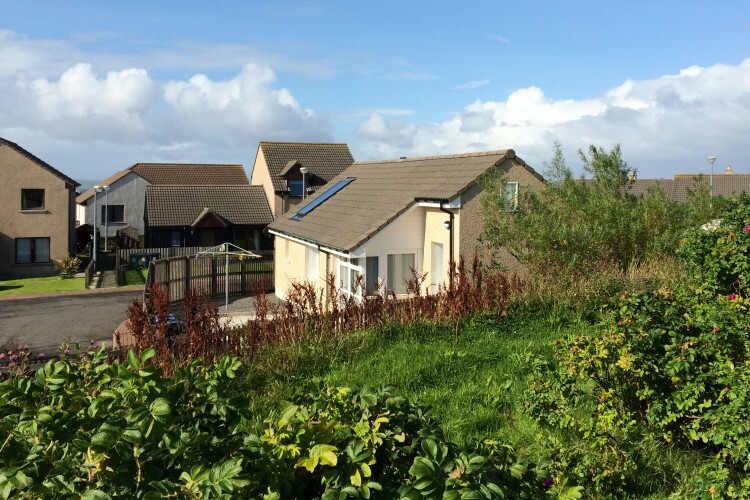 The external materials were traditional harling (render) and interlocking concrete roof tiles, which robustly defend against the high winds and driving rain which can occur in Orkney. These were supplemented by new triple glazed high performance windows, a super-insulated entrance door, and a protective entrance porch and canopy. The simple gabled rectangular form of the building is inherently domestic, and in keeping with the existing residential setting. A simple private garden was provided with timber fencing for visual screening. 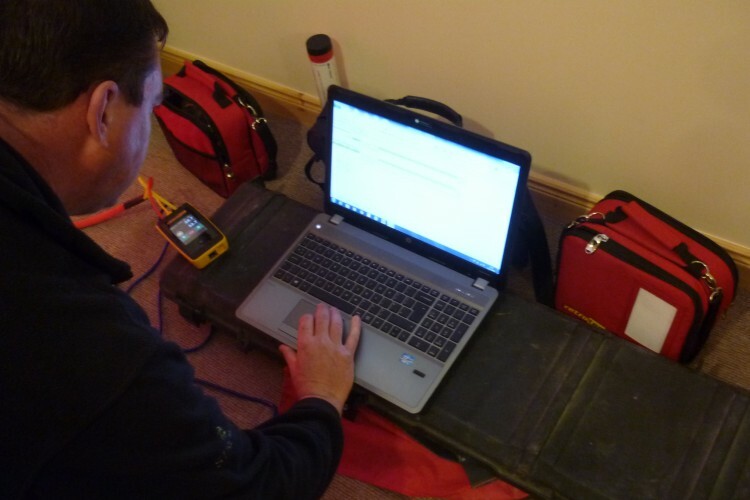 Post-Occupancy Evaluation has demonstrated that the design targets have been met, with good indoor air quality and extremely low energy bills of only £4 per week, with the fridge being responsible for the highest energy use.